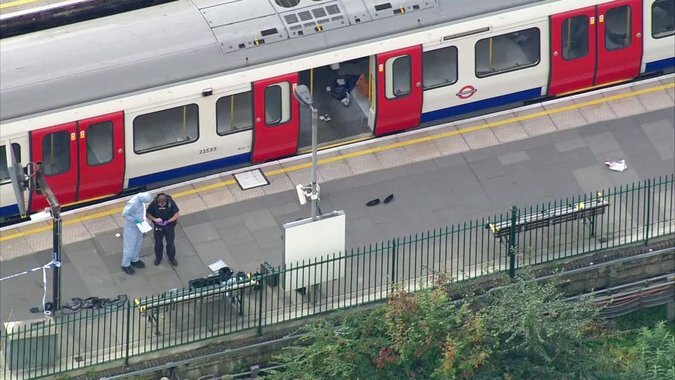 British police have arrested a man who is said to be connected to the recent subway attack. In that subway attack that happened just one day before his arrest twenty-nine people ended up being injured. The suspect is being held under the Terrorism Act and is going to be questioned by authorities. Officers located him near a port that's supposedly right by the English Channel. It's not known if he was trying to flee the nation or if he was just trying to hide out in that particular area. The explosive device used was apparently put inside a shopping bag then inside of a bucket. This means that there was a timer on it. It's being said that it could have very easily been a simple timer on the explosive device. The threat level has also been increased. The result of the increase means that another attack can happen and that security, especially in London, has been increased. The threat level is reported to be at critical. It has been reported that the investigators had images of at least one suspect from closed-circuit television. This is also not the first time that a terrible attack has happened in the UK. In recent times attacks seems to be happening far more often. In June attackers murdered and injured several people by using a van as a weapon. They drove into a crowded area of people. They also reportedly ran around with knives stabbing people. Another incident happened in March. Several people, as well as a police officer, had died because of an attack. In that situation, a car was also used.